For those that missed it, here is a video of the Burswood fireworks that was on Saturday night. It was a late start, with the fireworks going off at around 10:30pm, with some residents not too impressed with the late night antics of the Burswood Entertainment Complex but with VVIPs from China, Indonesia, Malaysia etc to entertain and thousands of other punters to entertain, the show must go on. At 10:30pm, all the free car parks in Burswood were full, with cars parked even along Great Eastern Highway on the Burswood front lawn and along the roundabouts as the place was a mix of people moviegoers attending Movies at Burswood, showgoers seeing Mary Poppins and others just there to see the fireworks (like myself). Check out the fireworks in HD below. 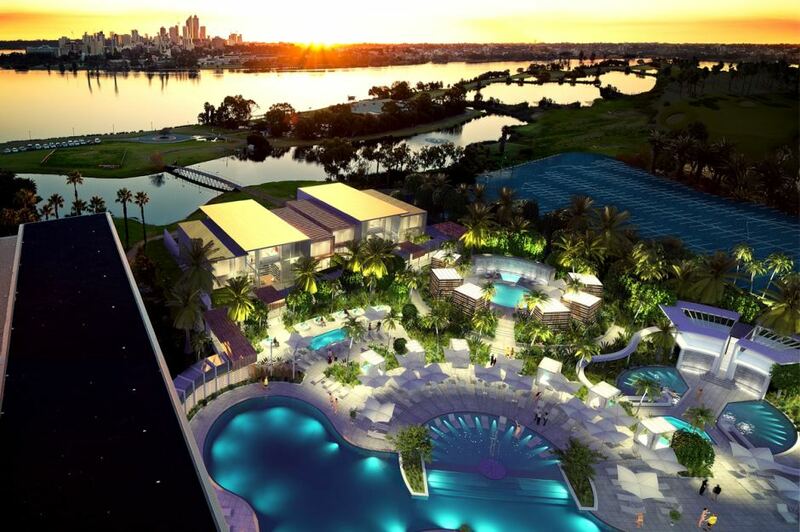 Meanwhile, Burswood is talking up more plans to invest up to $1 billion dollars on revamping (again) the Entertainment Complex into something like Marina Bay Sands in Singapore. Here is a released artist's impression of the renovations.